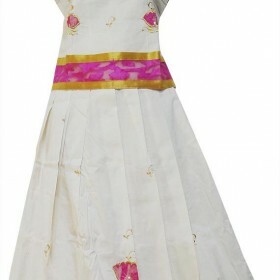 An amazing Kerala kasavu pattu pavadai for little cute princess with off white color having pink net.. 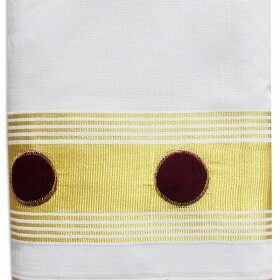 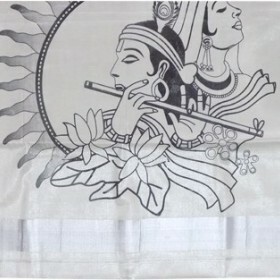 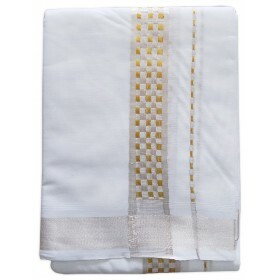 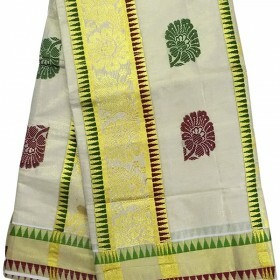 Traditional kerala kasavu saree specially designed with the big printed design of Krishna and R..
Inspire and engage in this Kerala kasavu churidhar with off white pure cotton material.It have golden embroidery work horizontally on the front middle which elevates the effect. 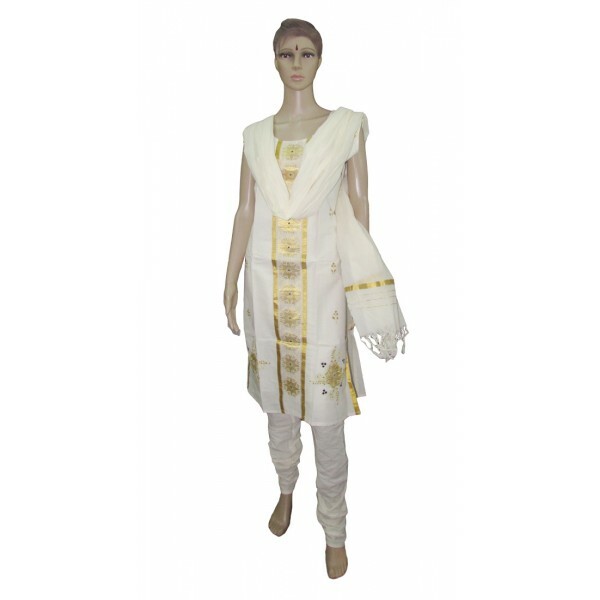 This is keen size(normal)top with floral embroidery work and crush bottom,dupatta with kunchalam. Make the ecstasy of moment more amazing with this new model ethnic wear. 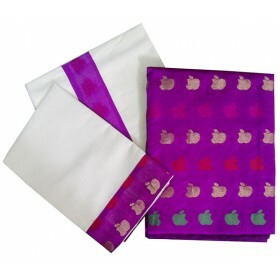 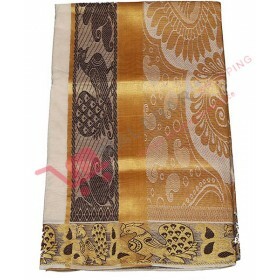 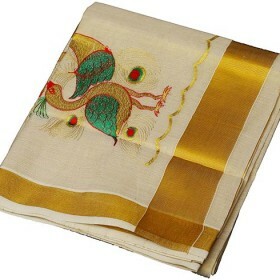 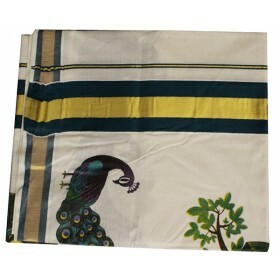 This will be perfect for any function for trendy traditional look.